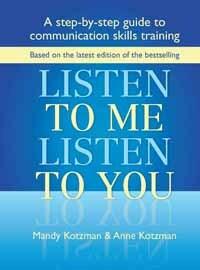 This companion to The New Expanded "Listen to Me, Listen to You, A Practical Guide to Self-awareness, Communication Skills and Conflict Management" (Click here for more on this book) was created to support those who plan to lead communication skills training and would like some assistance. For all of us, our quality of life, success, productivity, happiness and overall effectiveness depend upon our relationships - with ourselves and with others. Sometimes these can be challenging or problematic. Sometimes our knowledge and skills are insufficient to achieve our desired outcomes. When things go wrong, how often does someone say, "It was just a breakdown in communication" or "It wasn't so much what was said, but the way it was said, that was the problem." This is where communication skills training can help. It provides participants with access to ideas, approaches and skills that can enhance their repertoire of useful interpersonal skills. We believe this material is suitable for a wide variety of audiences and a range of different settings, such as corporate training, community workshops, schools, special interest groups, or personal development. The information and activities are designed to allow for flexibility, so this guide will support you regardless of whether you wish to run a one hour session on a single topic, half- or full-day workshops, a comprehensive training program over many weeks, or something else of your own design. Instructions and guidance specifically for the leader. Text addressing ideas and approaches for the leader to share with trainees. Activities designed to promote real learning and skill development. In addition to the information and materials for the leader, the guide includes worksheets on which the participants can record their experiences, as well as summary notes and additional activity materials. The leader will need to support their use of this guide by reading "Listen to Me, Listen to You, A Practical Guide to Self-awareness, Communication Skills and Conflict Management", but although it is certainly desirable for training program participants to have access to the book as well, especially for extended training programs, it is not essential. In Australia, from ACER, the publisher (Click here). In the USA, from Amazon.com (Click here) or ISBS (Click here). In Europe, from the Eurospan bookstore (Click here). Mandy has successfully completed a B.Sc. (Honours) in biology and physical geography, a Ph.D. in ecology, and a Diploma of Education at Monash University (Clayton). After teaching and carrying out research in Australia, Israel and the USA, she trained in mediation in Australia (Queensland Justice Department) and life coaching in the USA (Institute for Life Coach Training). Through her company, Creative Pursuits LLC, Mandy now offers training aimed at enhancing personal and inter-personal skills, as well as personal life coaching alligned with the principles and ethics of the International Coach Federation. She focuses on approaches and skills that determine the quality of relationships and personal effectiveness, and on crafting creative solutions to life's challenges. 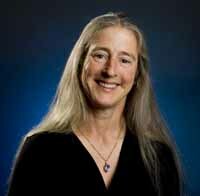 Anne, Mandy's mother, has been a registered psychologist in Melbourne since 1978. She began her professional career in early childhood education before undertaking further study in sociology, psychology and counselling. She worked as a tutor and student counsellor at the Institute of Early Childhood Development and has facilitated workshops and training seminars in a variety of settings, including the Council of Adult Education, rehabilitation services and community groups. 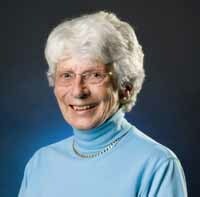 Anne has been in private practice as a counselling psychologist for more than twenty years. Advanced studies in Narrative and Solution-Focused Family Therapy reinforced her belief in people's strengths and their capacity to solve their own problems. She currently lives on the Mornington Peninsula in Victoria.